I made it early fall for my little daughter. 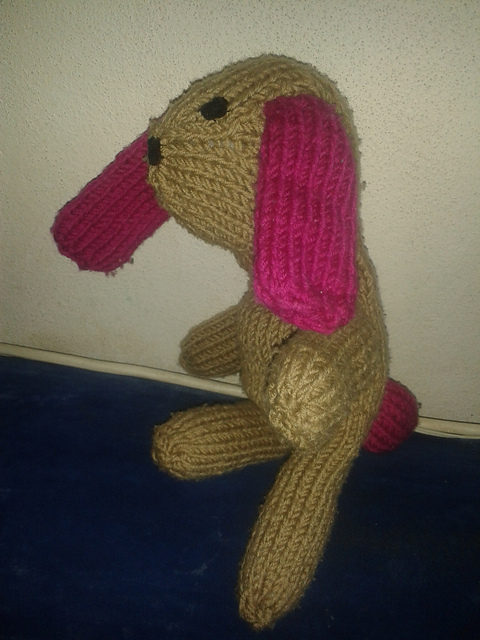 Her older brother has had his one for a while, so I decided to make a bunny for her , too. I was rushing to finish it before the business trip, and it went to play without eyes or nose. At last, I put my self together and finished the poor little thing up. I love the pattern by Lion Brand – I use DK held double to get the right size. Separator image Posted in My kniting & crochet and tagged with bunny.